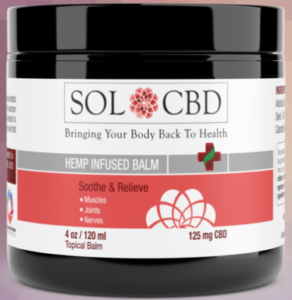 SOL CBD carefully crafted this plant-based formula choosing 12 of the most potent herbal extracts and oils that have been used medicinally for centuries. They also added a full spectrum hemp extract with naturally occurring CBD. Each ingredient was selected to compliment each other and work directly on the affected area. This topical balm goes to work quickly. 125mg CBD per container.